Thanks so much to those who responded to my pleas for help with the building fund for Peace Mission India. God is blessing and Pastor Roy just sent me a note reporting that they have collected about 25% of the funds they need to build the new orphanage. Please continue to pray about how you might be able to help if God so leads. This is truly a ministry on the front lines and one very close to my heart too. Not only do they have the worries of building funds, but it is the time of year they need to buy uniforms and such for the kids as well for the next school year. Since my last post, let me tell you a little of what transpired from my blog. One of the ladies in our church read the blog and was inspired. She and her husband have a heart for orphans as they have adopted previously and are currently adopting another child right now! She and another lady from our church as well as me, pulled together a garage sale for the cause. By telling people about the need, we also received funds from our summer Bible school families along with private donations from others. Today, I am priveleged to forward a check to the ministry for $1825.00 towards their goal for the orphanage. How exciting is that? You know, I would never encourage you to get involved or give to something I didn’t believe in and give to myself. My daughter and I support one of the kids in the orphanage individually each month to help cover her personal expenses as well. There are always kids who do not have sponsors so if this is something you’d like to do, I can help get you connected with that side of the ministry too. I know they need help there as well. Raising kids is expensive, whether it’s here or there. It gets even worse when they start going to college with all of the added monies involved. One hundred percent of every dollar given goes directly to the ministry. There is no middle man so to speak. With your monthly donation of between $40-60 a month, you can soley support one of the girls. The ones in college are usually the $60 a month. Do you see how far your money goes when it is multiplied in their system? We couldn’t support and send a child to college on $60 a month here! Let me know if you want to get involved or need more information. 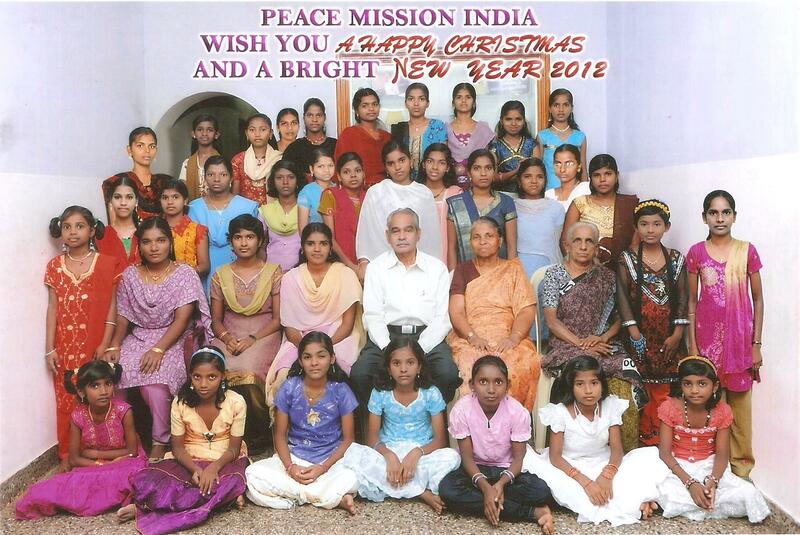 I would love to tell you all about Peace Mission India and the kids! Please also keep them in your prayers as they trust God and His people to complete the building in time. Prayers and blessings to you all!